Book a trip for a romantic Valentine's Day weekend in one of the worlds most enchanting cities. 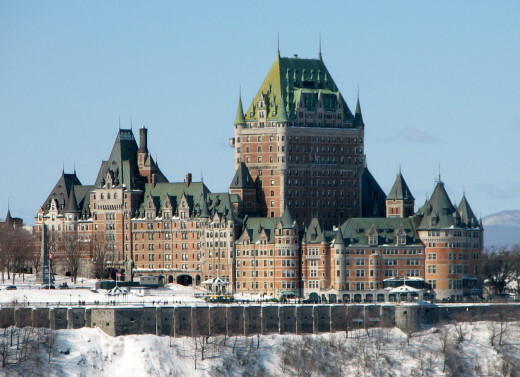 The Hotel Chateau Laurier Quebec will set the stage for love to blossom. This four star luxurious hotel offers everything your heart desires. Have a message and relax before an intimate dinner. Tour the streets of Old Quebec City with the love of your life in a romantic horse-drawn carriage. Dine in elegance in the heart of Old Quebec at The Patriarch Restaurant, a stone house that was built in the 1800’s with an atmosphere of intimacy. Let chef Steven Roth tantalize your taste buds with his delectable cuisine. Anyone visiting Quebec City must see The Chateau Frontenac, which is a national historic site. Building started in the 17th century, and in 1893 became a hotel. There are eighteen floors to this magnificent hotel with 580 rooms and 38 suites. 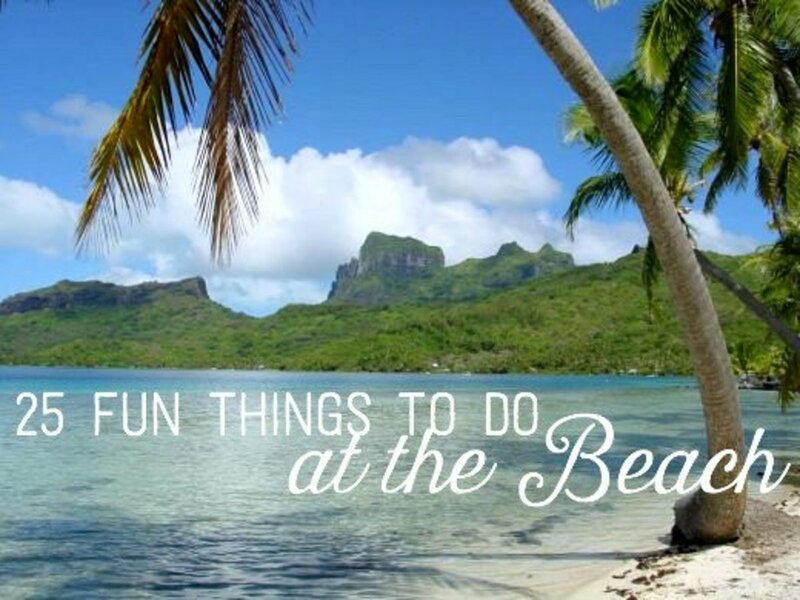 Family getaways in January, may just be what you are looking for. One of the most memorable events in Quebec City at this time of year is the world’s largest winter carnival, called the Quebec Winter Carnival, which runs from January 28th to February 12th. 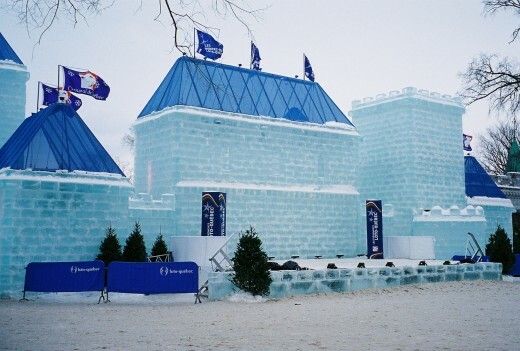 This carnival has7 much to offer which includes Snow Sculptures, dog sled races, a Children’s village, entertainment for the entire family, skating games and shows for children of all ages. Watch the ice canoe races on the river with competitions for both men and women. Slide down the slopes in a snow raft. Visit the Arctic Spas village and be sure to bring your swimsuit and towel. 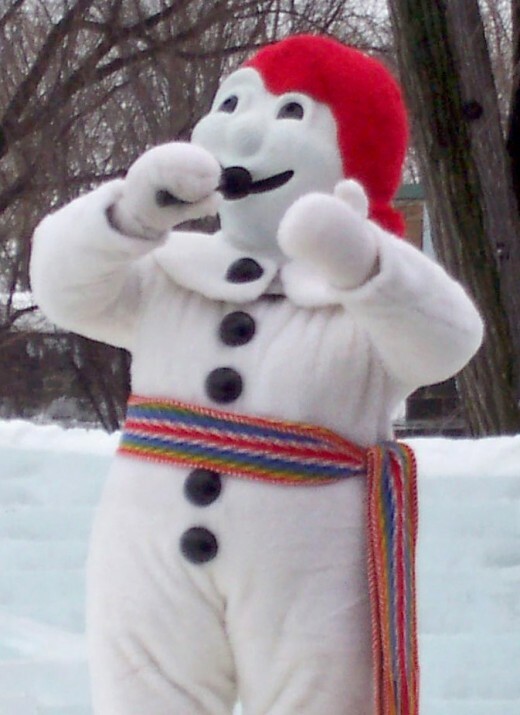 Watch for the famous Bonhomme the king of the festival, a living replica of a snowman that has been famous delighting children and Quebecers for years. Mount Sainte Anne one of the best places in the province and in Eastern North America for skiing and snowboarding. Stay either at the mountain at one of its beautiful resorts or if you are visiting Quebec City it is a short thirty-minute drive away. There are many activities here that include down hill, cross-country, paragliding, dog sledding and hiking. With 66 trails on 465 acres and has a 2,050 foot vertical drop. Night skiers will love the 17-lighted trails. Flying into Quebec City. Jean Lesage International Airport is ten miles from downtown Quebec City. Via Rail goes directly into the city if the train is your choice of travel. Greyhound bus offers excellent service to Quebec City. Thank you Eddy. Quebec City is a beautiful place to visit anytime of the year. I vote across,up and share all around. Hello again Susan! The pictures are somewhere in the house. When I find them I will post them on FB! Most of them are of the parade. I have to find them! You're welcome! Great memories! Hi J.S., It does get cold here. So glad that I brought back memories for you with this hub. I would love to see the pictures that you took while you were there. Any chance that they are on FB? Thanks so much for stopping by to read my hub. I have been to the "Bonne Homme Carnival" in mid-winter! It was like -15 degrees! It was so cold my camera didn't work after a while! I have friends from Quebec and I haven't been in a while. When I went I saw awesome ice sculptures and a canoe race on the ice. They even made an Ice Castle! It was huge. I had a great time. I have heard that it is the 3rd largest festival in the world after Rio de Jinero and Mardi Gras. Now I have to go look for the pictures I did manage to take! The fun part is that you can walk around with a plastic "cane" that is hallow. They fill it with a drink mix (lethal) of wine, rum, Grande Marnier, and other liquors that I don't remember! Ah, you have brought back great memories! Please excuse any French spelling errors. It's been a while! Awesome nostalgia and voting up! I visited Quebec a few years ago in the spring, and although it rained seven out of the eight days that I was there I still had an amazing time. It's a beautiful city with lots to keep anyone entertained! Canada, and Quebec City in particular, really knows how to celebrate winter. Held for two weeks at the end of January and beginning of February, the 2008 event (February 1-17) will be extra special as it coincides with the 400th anniversary of the founding of Quebec City. This was nice to look at today when I could really use a get away. 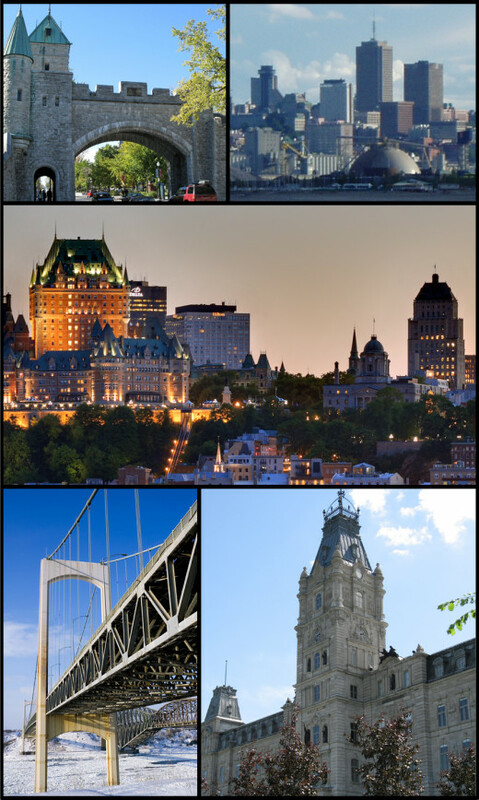 *smiles* I have managed to visit my mother's hometown of Capreol, visited with relatives in Toronto and other cities in Ontario but have yet to make it to Quebec. You have made it look so inviting...could be I just really want a vacation ! I really liked the distance information, that added incentive of seeing it's only so far away doesn't make it seem so other worldly for me. Enjoyed coming here today , thanks. I went on a Ski Trip once before, and I had a great time. Learned how to ski the first time. Quebec looks like an inviting getaway. I enjoyed the photos. Pamela it is nice no matter what time of the year you visit it and there is always so much to do there. I am planning on doing a hub for Spring and Summer there as well as it is one of my favorite places to go. I've always thought that Quebec looked like a beautiful city but I always though I would like to visit in the spring as I can no longer ski. Your pictures are lovely.